PeigMed font family series mainly provide Medium and other font styles. 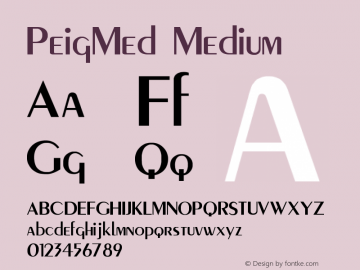 PeigMed-Medium font family series mainly provide Regular and other font styles. 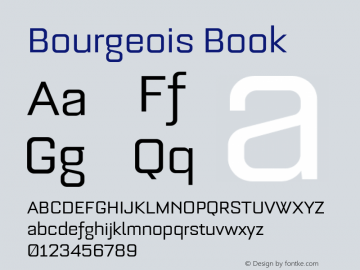 Bourgeois font family series mainly provide MedItalAlt,MedItal,MedCondItalAlt,MedCondItal,MedCondAlt,MedCond,MedAlt,Med,Bold and other font styles. 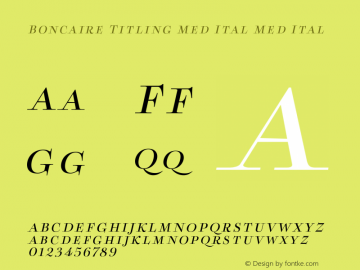 Boncaire Titling Med Ital font family series mainly provide Med Ital and other font styles. 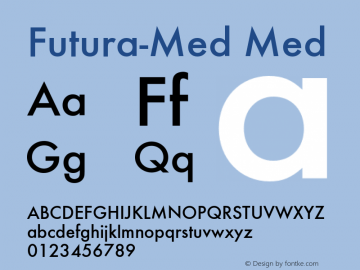 Blue Goblet Serif Outline Med font family series mainly provide Med and other font styles. 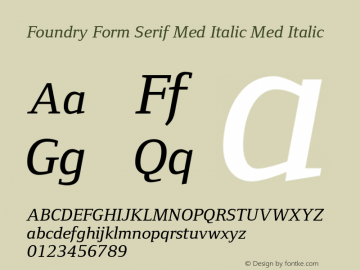 Foundry Form Serif Med Italic font family series mainly provide Med Italic and other font styles. 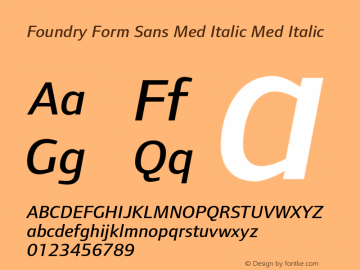 Foundry Form Sans Med Italic font family series mainly provide Med Italic and other font styles. Foundry Form Sans OT2 Med Ita font family series mainly provide Med Ita and other font styles.